Wright Records is back for the "5th Annual 2019 Battle Of The Bands" and scouting talent for the label! The talent lining up for this year’s events are already the best we’ve ever seen! This year all the shows for Round 1 will be at California Sound Studios in Orange County, CA. Bring your fans, friends and family out to support you on a Saturday full of music and fun! Wright Records will be hosting this ALL AGES live music event with Food & Drink Vendors, outdoor stage, & pro sound! 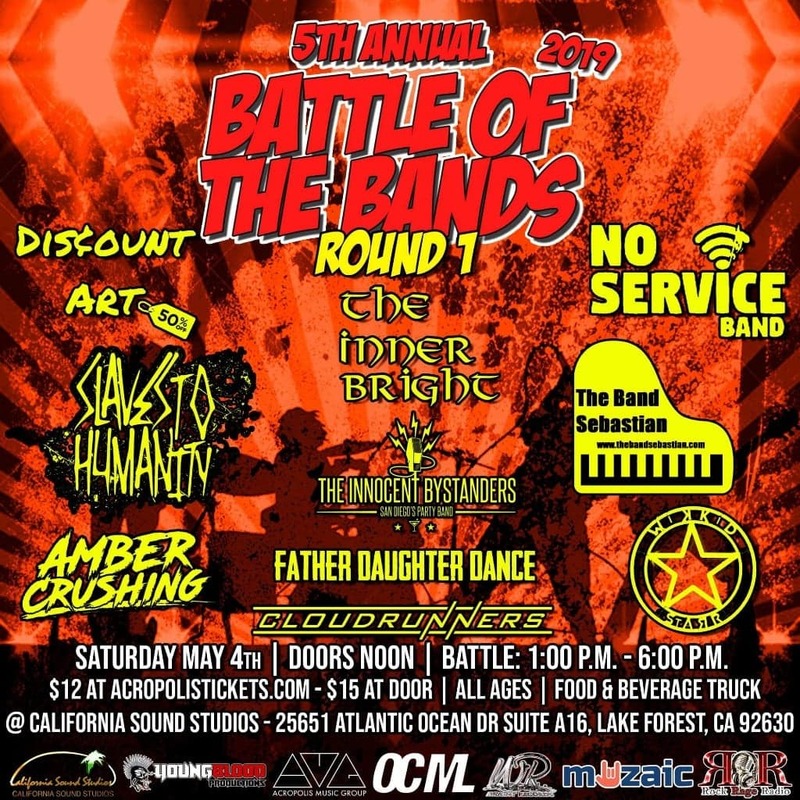 Doors open at Noon, Battle of the Bands is 1-6pm. Vendor & Merch Booths on site to get all your favorite gear and much more!! Plus California Sound Studios will have it's doors open to all bands and fans to check out and get a brief tour of where all the recording magic happens! ☆1st Prize = $25,000 in studio time at California Sound Studios, a music video, a West Coast Tour & a distribution deal with Wright Records, Inc./Sony Music/Orchard. ☆2nd Prize = $15,000 in studio time at California Sound Studios & a distribution deal with Wright Records, Inc./Sony Music/Orchard. ☆3rd Place = $10,000 in studio time at California Sound Studios & a distribution deal with Wright Records, Inc./Sony Music/Orchard.